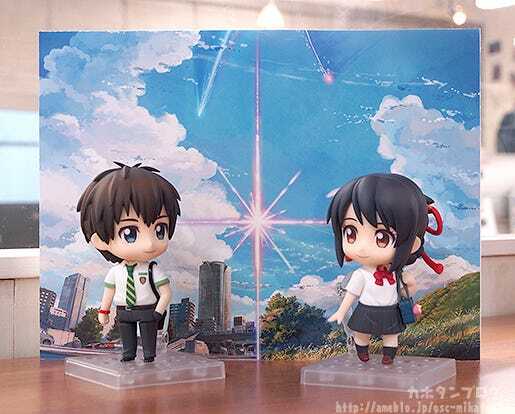 Mitsuha Miyamizu & Taki Tachibana! 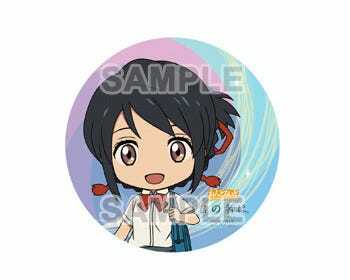 From the popular film that was recently released on Blu-ray & DVD, Your Name. 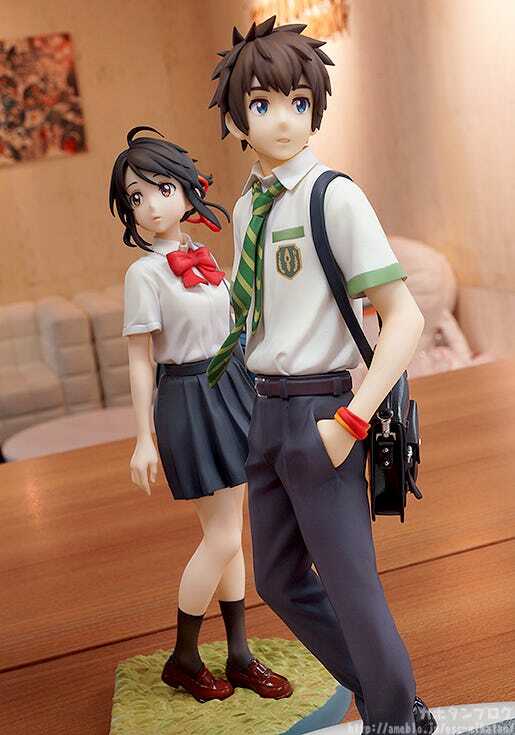 comes 1/8th scale figures of both the main characters: Mitsuha Miyamizu & Taki Tachibana! 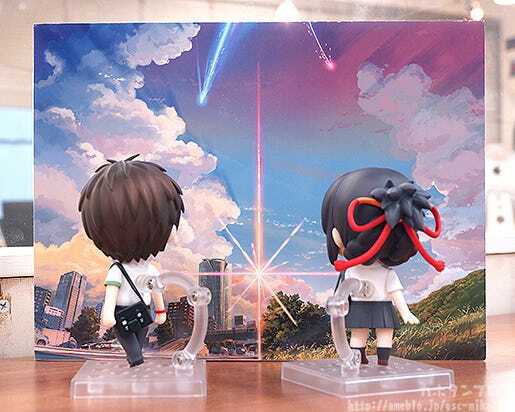 The pose when they are connected is based on the illustration used on one of the film’s posters! 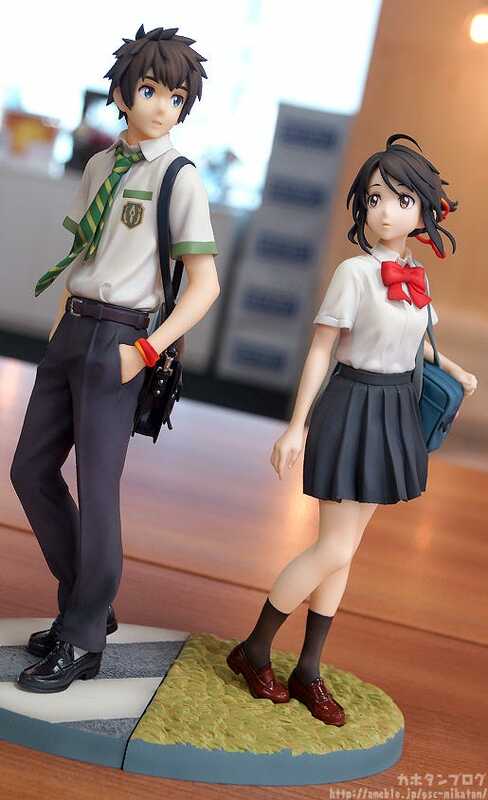 You can of course also pose them apart! 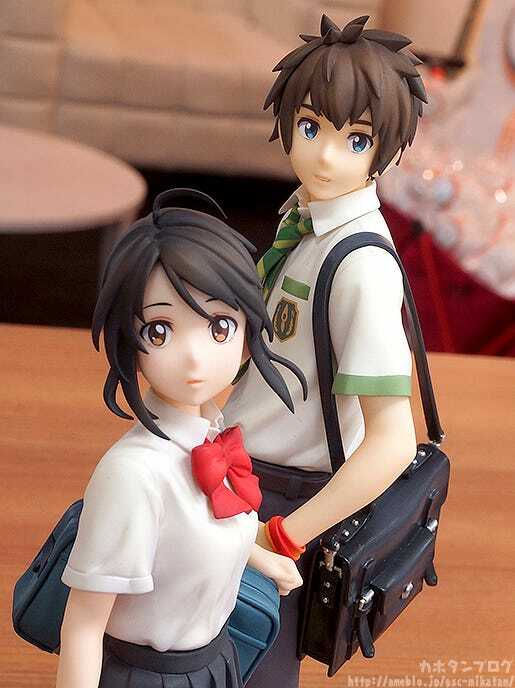 Simply find the pose that you think suits them best! 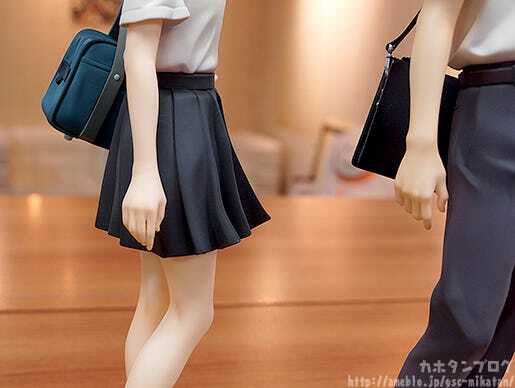 ▲ Note the details of the shape of their bodies down to the finger joints! 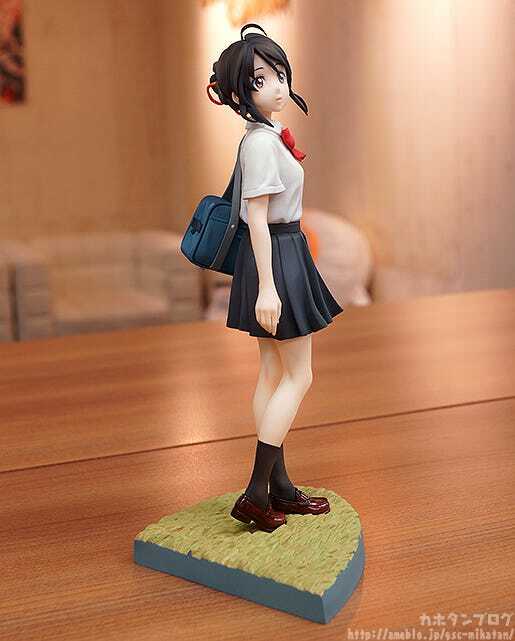 From the hit movie “Your Name.” comes a 1/8th scale figure of Mitsuha Miyamizu, capturing the pose used for the iconic main visual of the movie. 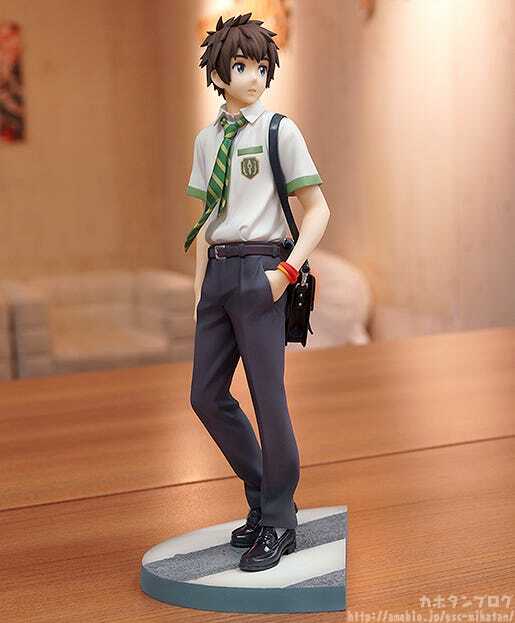 The powerful emotions from the film have been captured in the figure for you to remember whenever you see the figure by your side. 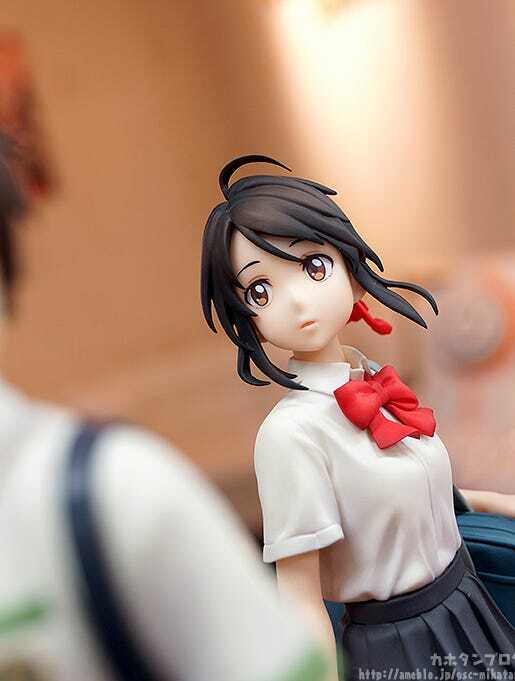 The base of the figure is designed to connect with the 1/8th scale figure of Taki Tachibana (sold separately), allowing you to fully recreate the visual in figure form. 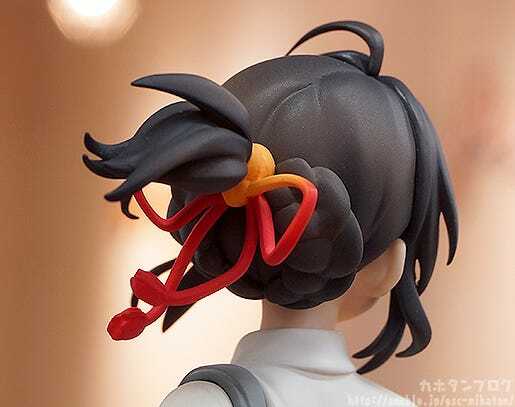 Her hair has been sculpted as if fluttering in the wind, which each strand of hair sculpted with a lovely dynamic appearance that brings the figure to life! 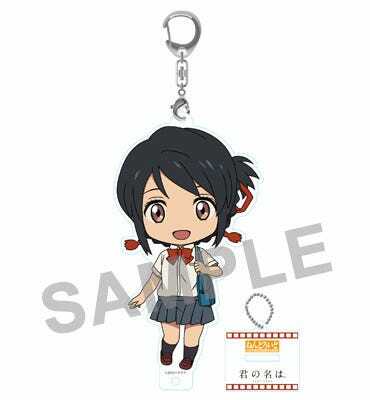 ▲ The tips of her ribbon are also fluttering in the wind! 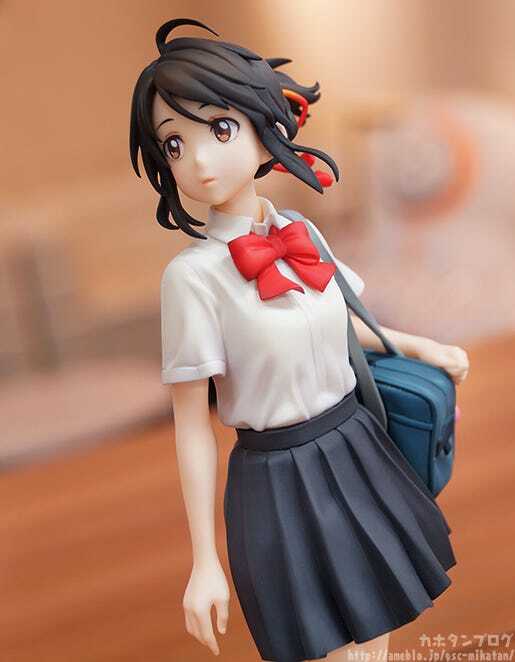 From the hit movie “Your Name.” comes a 1/8th scale figure of Taki Tachibana, capturing the pose used for the iconic main visual of the movie. 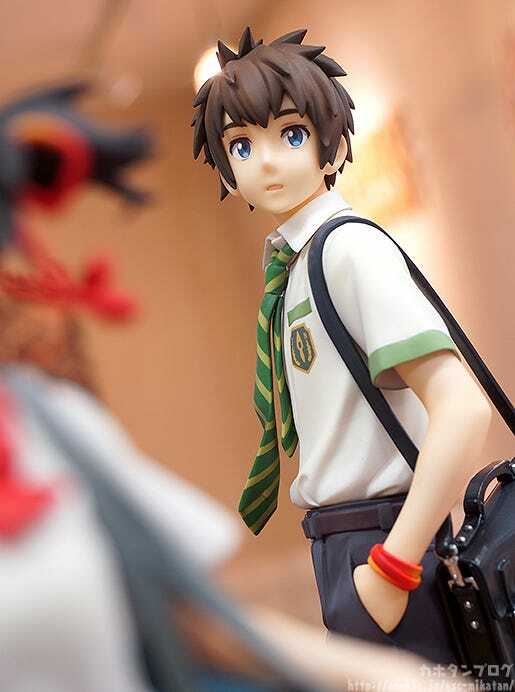 The powerful emotions from the film have been captured in the figure for you to remember whenever you see the figure by your side. 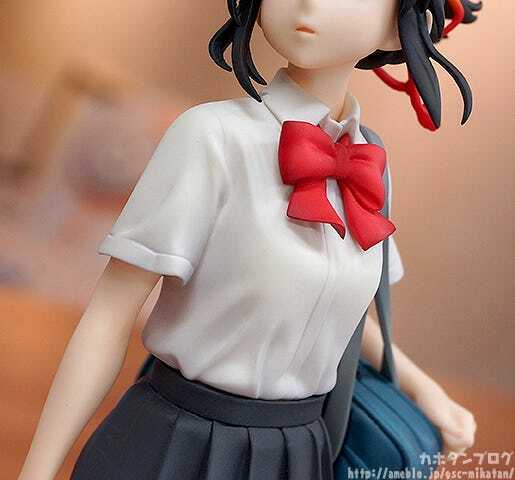 The base of the figure is designed to connect with the 1/8th scale figure of Mitsuha Miyamizu (sold separately), allowing you to fully recreate the visual in figure form. 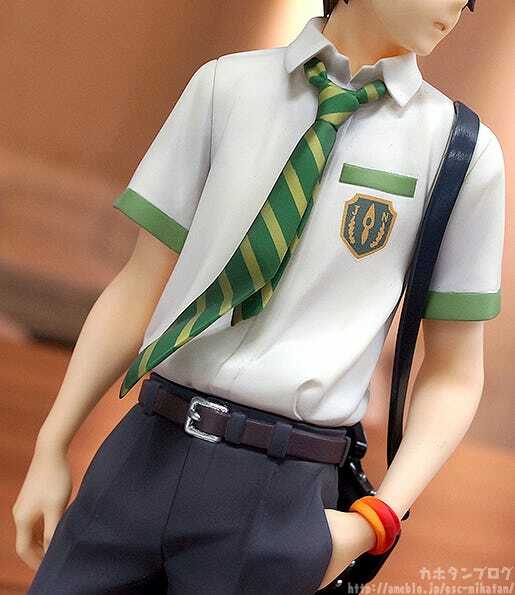 ▲ The way the shirt bulges out a bit where it is tucked also looks great! 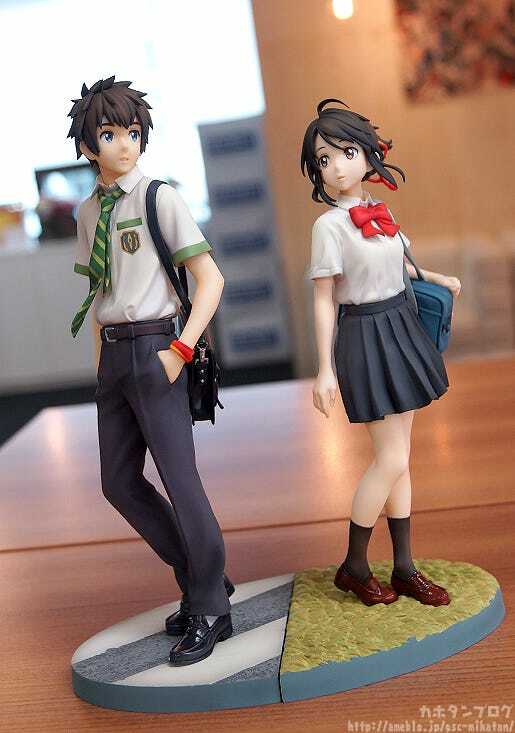 These two figures are really one of the best ways to capture the “Your Name.” universe by your side, and remember the amazing story whenever you lay eyes on the two main characters! 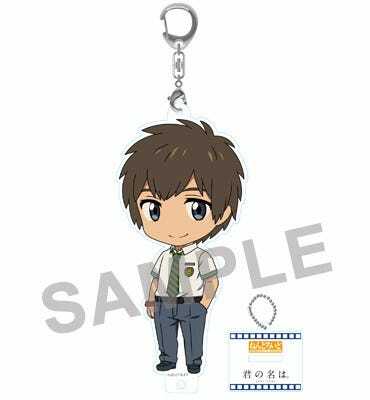 They will be up for preorder from tomorrow!! 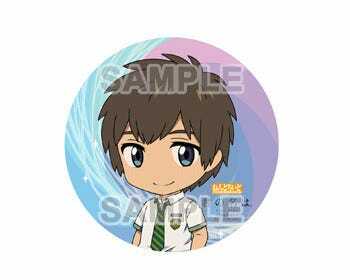 Be sure to keep your eyes on the Good Smile Company Site for more details! 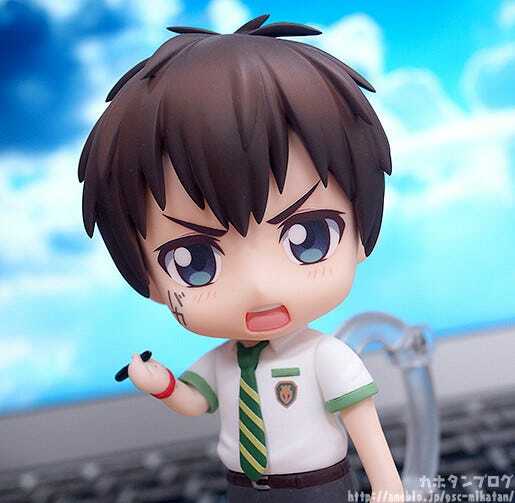 In addition, also don’t forget that their Nendoroid versions are currently up for preorder! * Photo for illustrative purposes only. 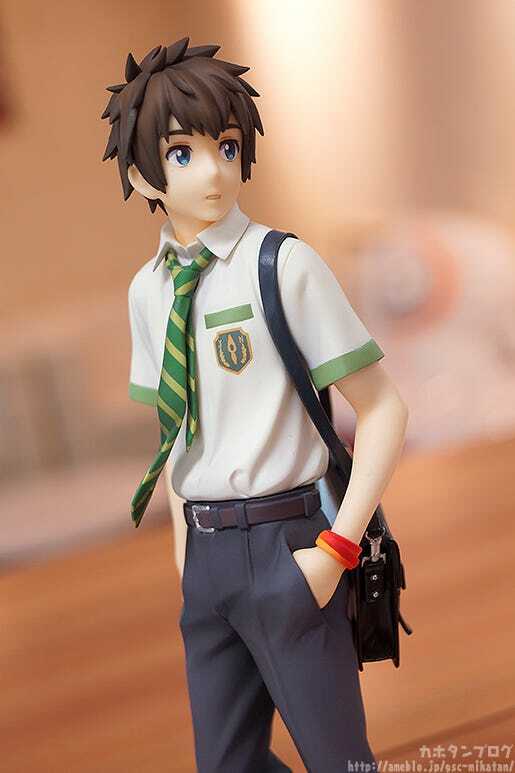 As a side note, if you are new to the figure world, I do recommend preordering! 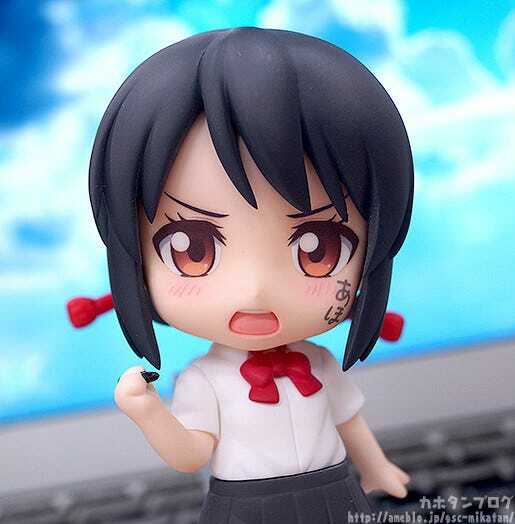 These figures are made to order, so only a select amount are made based on the estimated amount that will be sold! 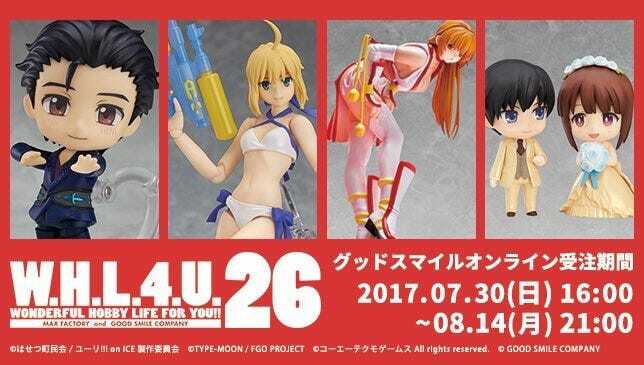 If you choose not to preorder, there is always a chance that the figures will sell out and you won’t be able to get hold of them!